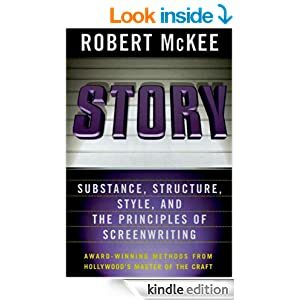 Robert McKee is a screenwriting lecturer and story consultant. He is best known in the television and movie industries for his Story Seminar. Over 60 Academy Award winners and 170 Emmy Award winners have attended his class to better improve their craft. In addition to story seminars that focus on drama and comedy for entertainment, Robert McKee also conducts a one-day seminar oriented to incorporating story into the business environment. Where is the power in Powerpoint? How would you recommend that I weave a story into PowerPoint presentations? Using rhetoric, which is the typical use of slides, the audience is bombarded with data, in the hope that enough data will convince them to accept the conclusion or buy the product. With coercion, the audience is bribed or manipulated into buying the product or service. The problem with coercive efforts is that people generally don't like to be tricked or duped, the win may be short term. With story, you can present a more honest picture where you present crisis points in your business, actions that you took, and the result of those actions. Thus, by incorporating a few stories of crisis/action/success, you can help your audience understand why your business is the right solution for them. Robert McKee's best advice in the video is to "if possible, eliminate PowerPoint." However, when this is not possible because of a corporate expectation that slides must be used, you can still intersperse the crisis-action-results narrative with the data. If you would like to learn more about Robert McKee's approach, visit his website at McKeeStory.com or check out his book, Story.